With a skills base that has been called upon on many occasions to work with mainstream media; including the BBC, and many educational production companies. Plus regular invitations to undertake talks and demonstrations at leading establishments throughout the UK, including The Royal Geographical Society, Universities, the Eden Project and the National Forest, plus invites for main stage presentations at The Bushcraft Show and The Great Outdoors Show, you can be assured that with Jason and his team you are in the best hands. Jason is also contracted to write for the Bushcraft & Survival Skills Magazine, and has been invited to comment on issues in Scouting Magazine and numerous other publications. Jason has also appeared in many mainstream red tops and broad sheets including The Times, The Daily Star, The Mail and more. In 2015 Jason was honoured to have been nominated and awarded as a Fellow of the Royal Geographical Society. Due to his extensive outdoor knowledge and practical applied experience in a number of wilderness environments in 2016 Jason was appointed a Brand Ambassador for Keela International. In 2016 Jason embarks on a number of Bushcraft & Outdoor film productions, aswell as his commitment of teaching on our overseas and UK courses, through Wild Earth Productions. Looking back over Jasons recent career you will see in December 2011 out of 63 of his peers Jason was voted as the UK's Best Bushcraft Instructor by readers of Bushcraft & Survival Skills Magazine in the Best in Bushcraft Awards. He was very proud to be presented with his award in June 2012 by his life long inspiration and the author of the best selling book the SAS Survival Handbook, the survival legend that is Lofty Wiseman. With a particular interest in both modern and ancient fire lighting techniques, including the impact that the control and production of fire had on the development of the human species, aswell as appalling campfire jokes, you will find his enthusiasm for his subject infectious! Jason's interest in Survival was sparked as a child when he went on his first survival course, rushing straight out afterwards to buy Lofty Wiseman's SAS survival guide and all the kit he could purchase! However as he developed an understanding of what nature could provide he soon understood that it was the knowledge he held in his head and not the gear in his pack that was all the essential kit he needed. As a teenager growing up deep in the heart of the Lincolnshire Fens, Jason spent every minute of his spare time on the banks of the River Welland and in the estuaries of the Wash, building shelters, learning the art of fire lighting and tracking the vast wildlife of the Marshes, and he has been learning ever since. Over the years Jason developed a passion for the British Countryside, and so formalised his bushcraft skills by undertaking other courses and ultimatly passing his Survival Instructors training course and began teaching with other Bushcraft Schools. From here Jason decided to set up Woodland Ways & Desert Ways to showcase the huge bredth and depth of skills that come under the term of "Bushcraft". A highly respected Instructor within the top tier of the Bushcraft Industry Jason was instrumental along with his other leading peers in setting up the Institute for Outdoor Learnings Foundational Bushcraft Competency Award, and sat on the Executive Committee for 3 years before standing down in 2011. He stills provides help and support to assist steering safety and quality standards within the industry and holds the award himself. Jason is also Remote Emergency Care Expedition Level 4 first aid trained, and holds the DSC Level 1 certificate comprising assesments on Deer Biology and Ecology, the law relating to deer, stalking techniques, deer identification, safety and shooting aswell as trained hunter, enabling Jason to assess Deer Carcus for human consumption. He is also Landrover trained in 4x4 off road driving. Jason also leads our Instructors Apprenticeship scheme, setting the highest possible standards of skills and safety to all our instructors to ensure that you have the most knowledgeable experience when you join us. Each member of the team goes through a minimum 2.5 year training programme, from the UK to overseas environments, before being awarded the Woodland Ways Instructors Shirt and running courses. From this point they are then continually assessed by Jason and his senior team. Jason's knowledge of bushcraft skills is immense, and has been gleaned through extensive personal applied experience, practicing and developing these skills for real, in real circumstances. 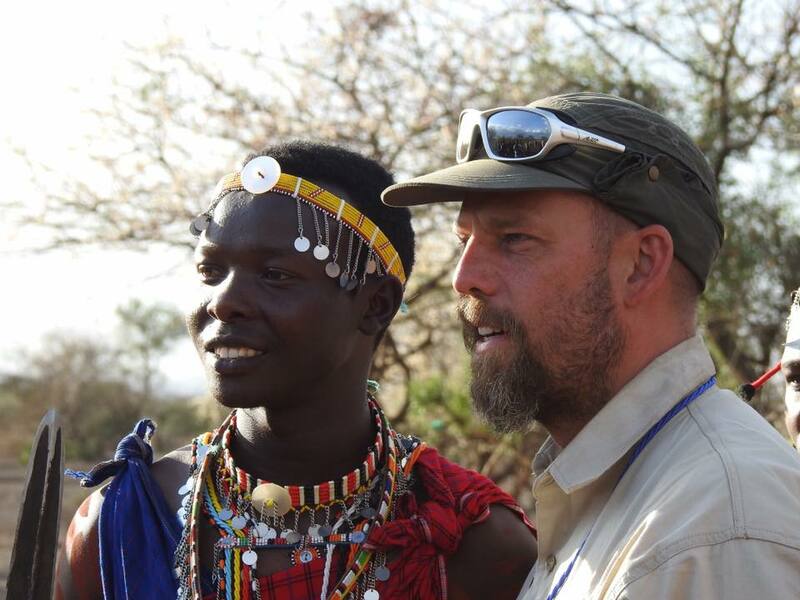 He is also a very very experienced expedition leader, have led groups regularly Canoeing in Sweden, Tracking in South Africa, and working with the Maasai in Kenya, plus many many more countries beside. These extensive overseas experiences all feed back into the skills that are taught in the UK. Jason still teaches on many of the Woodland Ways bushcraft courses and here it is about you, and not him. It is not unkown for Jason to spend hours upon hours of extended 121 tuition with someone if they have the desire to learn, because he has a passion for passing on these skills. Everyone here at Woodland Ways wishes to show that learning the skills of our ancestors can not only be a wonderful and enlightening experience for the individual, but it can also be beneficial to the environment. Further background skills are provided by being an experienced hill walker and a qualified Walking Group Leader, recognised through the British Mountaineering Council and Mountain Leader Training UK. Jason is also a qualified instructor for delivery of the National Navigation Award Scheme and personally leads on all our Navigation Courses, passing on his skills to enable you to enjoy the hills in safety. In 2015 he has become a member of one of the UK's Mountain Rescue Teams. He has spent a lot of time wild camping in the Scottish Highlands, the ranges of Snowdonia, the Black Mountains, and walking in the Peak District, although his favoured environment is our good old British Woodland. He has trekked widely throughout Europe learning from different cultures on the way, and also developed his desert survival skills in the Sahara and the deserts of the Middle East. Jason also considers himself to be most fortunate as having trekked in the very remote jungles of Borneo, aswell as climbing the three highest peaks on the island in just 9 days! Jason can also draw on his experience of being invited to live within a Massai Village Community, where upon on his visit in 2012 he was presented by the elders of the village with a very powerful symbol of leadership, and then repeated visits through the years to 2015 has led to him leading the charitable side of our work through the Woodland Ways Bushcraft Foundation. Jason has now taught many hundreds of people from all walks of life the different skills it takes to survive in the wild and invites you to come and join us for an amazing adventure. Over the years Adam has practiced and experimented relentlessly to gain what is today a huge collection of wilderness knowledge and skills. Almost a decade spent living in the English Lakes provided Adam with a wild landscape to hone skills and acquire more conventional outdoor training in climbing, canoeing, kayaking, off road driving, first aid and mountaineering. After gaining a degree in Outdoor studies Adam went on to achieve his Mountain Leader qualification whilst working as a full time Outdoor instructor. He taught regularly on bushcraft and survival courses as an independent freelance instructor as well as attending various bushcraft training courses across the UK and overseas. Adam's impressive dirt time in the woods found a well receiving home at Woodland Ways where he has been a full time and permanent member of the instructor team since early 2012. After joining Woodland Ways on our Desert Survival Training Programme Adam decided to join the Woodland Ways Apprenticeship scheme. This detailed training further bolstered his instructional skills and Adam was delighted to attain the now much coveted Woodland Ways instructors shirt before going on to help coach other trainee instructors on the scheme. In 2016 Adam was awarded Senior Instructor Status, a hard won merit reflecting an exceptionally high skill set and dedication to his own learning. I will always consider myself an apprentice where wilderness living skills are concerned but I am very proud to be operating within the Woodland Ways family where the skill sets themselves are held up in the highest regards. Adam has since been mentored by the senior staff to learn the ropes of delivering overseas expeditions in Africa, and Europe where he has most recently Co led a Saharan Desert trip and designed/ delivered a Canoeing trip to Sweden. Adam teaches regularly on our advanced courses, leading on bow making where he has a particular fascination. He regularly delivers modules of The Woodland Wayer and The Bushcraft Year which he helped to design drawing on his fascination of natural materials and what can be crafted from them. Woodland Ways has provided Adam a unique opportunity to share a lifelong passion for wilderness skills in a realistic training format that holds true to the essence of the subject he feels most content whilst in the woods using handmade clothing and equipment leading activities alongside our students the year through and in all weathers! But Adam is not just at home in the Woods, he is also BCU Level 3 Open Canoe Qualified. Jay first came to Woodland Ways as a customer on one of our Woodland Ways Bushcraft Weekends and has never looked back. His enthusiasm is endless and he throws himself into everything with boundless energy. He has a real talent for carving and can see things in a lump of wood which are invisible to anyone else. He joined us as an apprentice instructor, developing his bushcraft skills and honing his delivery of instruction with lots of dirt time. It wasn’t long before he joined the team as a permanent staff member, instructing on courses and working in the World of Bushcraft. He expanded his desert training, firstly in Kenya embarking on his own personally moving journey with the Maasai. He continued by joining us on the Desert Survival Course in the Sahara where his team navigation skills shone through. Captivated by Africa he soon embarked on our Bushveld Game Ranger Experience in South Africa, Patrolling with a rhino anti-poaching program. He will take you on a journey as he teaches the skills he has learnt over the years. Always enquiring and always trying new things his enthusiasm is contagious, he acknowledges that he is a student of the subject and will be for the rest of his life... and that makes him an excellent instructor. He has a very calm, collective way about him and will inspire you to achieve. Ian has had a love of the woods since his early childhood. Spending many summers in the Lake District or Scotland, camping with his parents, Ian’s love of the outdoors sprouted and grew continuously. His father bought him his first knife at the age of 5 and taught him the importance of this vital tool. Ian was fortunate to have an upbringing that allowed him to follow this passion and he spent many hours lost in woodlands, building shelters, watching birds and animals. Camping trips with his father became more basic with a back to nature, foraging and fishing for food theme; Ian was "doing” bushcraft before it was called bushcraft. Through school and college where evenings and weekends would be spend camping out or on trips with pals up in the Lakeland fells and forests. New books became his guide such as the SAS survival handbook and Raymond (as he was known then) Mears Outdoor Survival Handbook were always close to hand. Ian attended survival courses and bushcraft skill courses with companies throughout the UK and has been a writer for Bushcraft & Survival Skills magazine since issue 5 and he is now the longest standing writer for the magazine currently with his Bushcraft on a Budget articles. It was whilst working at an outdoor show for Bushcraft & Survival Skills Magazine Ian was introduced to Jason Ingamells. Ian saw in Jason a depth of knowledge and skill that he wanted to attain. Jason saw the passion Ian had for the subject and his want to learn, a bond was formed that later enabled Ian to join the Woodland Ways team. Ian joined on the apprentice scheme and learned from the team and worked alongside the people he had come to admire so much. Sacrificing time off work and holidays to attend as many courses as possible Ian began to learn many of the skills that had eluded him in his previous trials. Absorbing the information being taught and getting hands on dirt time made a massive improvement to Ian’s skill set. Not only learning in UK woodlands, but traveling on the Sahara desert expedition broadened Ian’s skills and knowledge. Whilst in the Sahara Ian achieved a goal of fire using a hand drill made with local resources under the excellent tuition of Adam Logan. Since this time he has also travelled to the stunning wilderness of Sweden on the canoe expedition and Croatia’s Rjisnak Forest with the team, tracking European Brown Bear and Wolf. Ian also assisted on our Mojave Road expedition traveling in the deserts of California & Nevada following the Mojave Road Trail. In 2015, following years of training Ian was finally awarded the Woodland Ways Instructors shirt, meaning that as well as continuing on his own learning journey he now passes on his highly regarded skills to our clients. Ian has a high level of first aid training, being initially First aid at work trained for many years, then progressing on to a REC 2 (Remote Emergency Care) qualification and then attaining the WMT (Wilderness Medical Training) Far From Help and Advanced Medicine course. Enabling him to be a support medic on expeditions. Ian still understands the need for continuous training and personal development and as such he has used his holidays and time in between work to undertake more training and instruction from some of the industry’s leading figures, not just here in the UK but abroad too. He has completed the IOL Bushcraft Competency Certificate. He also undertook a personal mission to dispel some of the myths around friction fire lighting and through study, learning and hours of practice has regularly managed to get embers with many combinations that are said "not” to work, be it hand or bow drill, Ian will usually be able to get an ember. Among Ian’s passions are wood carving and he is able to produce some beautiful items including hand carved canoe paddles one of which is on display for The Eden project. He is a very hands on person and will turn his hand to many craft based items be these from wood, bark, natural cordage, leather or buckskin. He is quite a tailor too, making many of his own items of clothing and footwear which he is proud to say are used to their full potential in some harsh environments including the cold of -23C in Sweden where these items kept him warm and dry. Ian’s passion and enthusiasm for all things bushcraft and wilderness travel are even stronger now than they have ever been and he loves to pass on that passion and knowledge. Davie heads up our Scottish Courses and is our in-country instructor. Before joining Woodland Ways Davie was operating his own Bushcraft company, and then using Woodland Ways for his ongoing CPD (Continual Professional Development). Working his way through a number of our courses, including the Primitive Skills Year and our Swedish Canoeing Expedition, Davie could see the value of being part of a larger dedicated team of full time instructors that is Woodland Ways. A big decision to take, but Davie didn’t hesitate when we approached him to consider merging into the Woodland Ways Team. Davie closed his existing business and threw himself into the Woodland Ways Apprenticeship to train up further in order to run courses for us in Scotland, supported by our team. The Woodland Ways Apprenticeship is the hardest scheme to get through in the UK, most do not make it. Davie’s skill set and communication skills in delivering high quality Bushcraft instruction meant that he had no problem in gaining that instructors shirt. Davie joined us for well over 2 years and in 2017 was assessed to become a full Instructor Shirt owner as well as returning to Sweden. As well as the core skills of fire, food, shelter and water…. Davie has a passion for wild foods, a talent for craft work, and an in-depth knowledge of hide working skills. His higher level of training and delivery means that you are getting an instructor who really walks the walk, for him Bushcraft is a way of life, one that he wants to share with as wide an audience as possible. Barry grew up in a seaside town in Essex but always knew that the woods were his true home, taking every opportunity to explore inland whenever it presented itself. The reality of adult life and responsibilities meant the dream of working outdoors had to be put on a backburner swapping it instead for a life behind a desk working in marketing and raising his family. 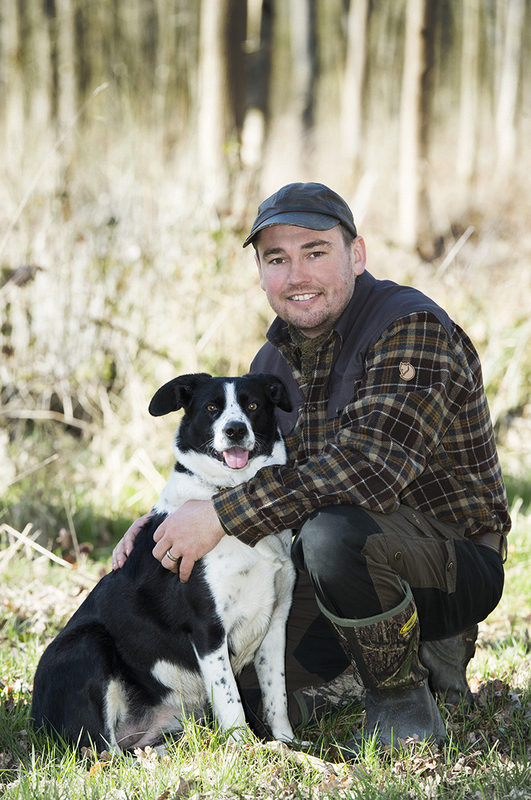 Now the family have all grown and flown the nest he decided to pick up the passion for an outdoors life and first explored woodland management by spending time with renowned woodsman and timber frame house builder Ben Law to qualify in sustainable woodland management. Next up was a return to fitness after years of sedentary work and the challenge of completing the London Marathon in 2010 but something didn’t feel right so he researched a different approach and took up barefoot running to connect fully with nature and appreciate the way our ancestors would have moved. This sparked a whole new outlook on life for Barry and a search for a simpler approach to everything in his life but a framework was required to do it sensibly. Permaculture was the answer – in its simplest form it is a design tool with its roots in food production but ultimately can be applied to anything in life. The new life design led him to achieving the Superhome energy efficiency status for his house and a change to working in the charitable sector where he drew on his marketing background to raise money through trust applications for a regional autism charity before switching roles to work directly with children affected by autism. During this time Barry was approached by a small charity that uses Bushcraft as a means of engaging with adults with mental health issues and main stream schools to help individuals boost their self-esteem, well-being and confidence. The proposal was for him to use his educational experience to help deliver structured sessions to over 2,000 clients in a 6 month period. With challenge accepted he proceeded to boost his knowledge of the natural world and explore new skills. It was via this search that Barry came to courses and qualifications in Forest School teaching; Adult Education Sector teaching; flint knapping and bronze casting (with Will Lord); knife making (with Dave Budd); and ultimately to Woodland Ways via a fantastic trip to the Sahara Desert in 2014. Barry was so impressed with the desert survival experience, the ethos and professionalism of Woodland Ways that he signed up to the Woodland Wayer course on his return. This 2 year journey gave him a firm foundation of knowledge and ultimately led to the Seasonal Instructor role. As the youngest member of the team, Joe came to us at the age of 16 years old already immensely passionate and full of energetic enthusiasm for Bushcraft. He knew that his future lay in teaching these skills. Always striving to learn more he dropped out of college at the age of 16 in Leeds, abandoning a government approved education for an education in Bushcraft and Survival Skills with Woodland Ways. In 2012 he joined our two year Woodland Wayer Bushcraft course, and upon successful completion of the course it was with no hesitation that we offered Joseph a job. Now 21, Joe is almost upon completion of his instructor apprenticeship as a full time permanent member of the instructional team. It was apparent early on that Joe had a spark that needed to be nurtured, he willingly threw himself into all the challenges we face as an instructing team, his energy and enthusiasm is his most prominent feature. Don’t be put off by his age, this guy knows a lot about Bushcraft, in particular his foraging skills and bone working skills. As a keen musician, Joe also loves making prehistoric and early instruments and is often found fiddling or playing with a new musical instrument he has rediscovered. It is this knowledge that gained an invite for Joseph to work alongside the academics at the Pitt Rivers Museum in Oxford to deliver an ancient Bone Flute making course. Nathan has felt at home outdoors since he was knee high to a badger. As a boy, access to the farm woods managed by his Grandpa, and inspiration from ‘The SAS Survival Handbook’, enabled him to begin practising the skills needed to explore wild places with confidence. Since then, the joy of making things from wood, creating fire, using a blade, campfire cooking, and observing wild animals and plants has become an enduring passion. With a varied background including countryside management and international disaster relief, Nathan has enjoyed working in many countries, and now delivers freelance training in logistics and security for humanitarians. A fellow of the Royal Geographical Society, Nathan also enjoys supporting expeditions, and is motivated by the practicalities of getting vehicles, electrical supplies and communications equipment working effectively in remote locations. Nathan engaged fully in the 2yr Woodland Wayer course, and is eager to continue learning through sharing bushcraft with others as an apprentice. As a child, Nicola spent every hour possible up trees and crawling through hedges, and this hasn't particularly changed! She has spent years learning tree and plant lore, for foraging, medicine and in use as crafting materials for everyday life. Having completed a Masters in woodland and experimental archaeology at Exeter University, she is particularly interested in human uses of woodlands, from the Mesolithic to the present day. These aspects of her research are influenced by and in turn impact upon her bushcraft. 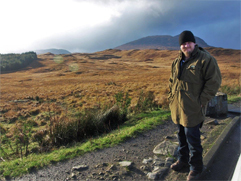 Stuart has been a lover of the outdoors since growing up living on the West coast of Scotland. Spending the majority of his spare time fishing off the rocks, climbing trees and building dens, Stuart built up a really good basic knowledge of outdoor skills. After nearly 10 years serving in the military, he joined the Scottish Bushcraft Group where he met Davie Mccrae. Stuart was asked to join Stonewood Survival and Bushcraft where he worked as assistant instructor under Davie. In February 2015 he started out on the Woodland Wayer gaining expert knowledge from the excellent instructors. In November of that year he was invited to join the Apprentice program at Woodland Ways and has been working hard to gain his instructors shirt since then.Stuart has found a great love of nature and tracking and is looking to specialise in this subject. Having learned from Colin Patrick in South Africa and Jason Ingamells in the UK, he is well on the way to instructor status..
Jo joined the Woodland Ways Instructors Apprenticeship after attending the Woodland Ways Weekend and then the Woodland Ways Week. Being a keen angler Jo was used to Bivvying up under the stars and loved nothing more than being outside. Jo has also worked with the Princes Trust Volunteers to undertake conservation tasks and is a keen outdoor pursuits enthusiast, with canoeing, caving and being an award winning climber under her belt! It was this keen interest in the outdoors that led Jo to join us on the Apprenticeship Scheme and develop her Bushcraft Knowledge, and the skills required to teach this knowledge. With a keen interest in tracking you will often find Jo on her belly on the woodland floor watching deer. Her second favourite experience being the time she got to within 15 metres of a Red Deer Stag during the rutting season in the Outer Hebridies. Her absolute favourite experience was in September 2010, when she took the dedication to her job that one step further and married the chief instructor! In 2009 Jo was lucky enough to assist us with an expedition to the Sahara Desert and the Atlas Mountains, where she stayed with the Berbers and began her desert survival training. Jo also manages the retail aspect of our business. Jo is Remote Emergency Care First Aid Trained (Level 2).